I've got some images in an HTMO text field at the bottom of my form (my signature and a picture of me) that are there in my html coding but aren't displaying. This didn't used to be a problem. I checked on your form https://form.jotform.com/52307491250146 and I see the issue as well. It seems that the images URL were not publish properly on the internet so they are not available or existing. 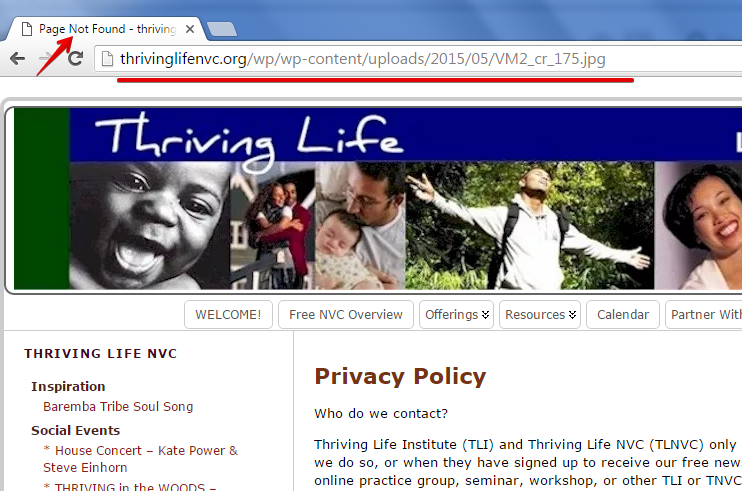 Example, this image URL http://thrivinglifenvc.org/wp/wp-content/uploads/2015/05/VM2_cr_175.jpg , when I check the URL, there is page not found error.. meaning, its the wrong URL or it does not exists in that location or website page. To fix this, make the images available and make the URL link of the hosted images are correct as well. 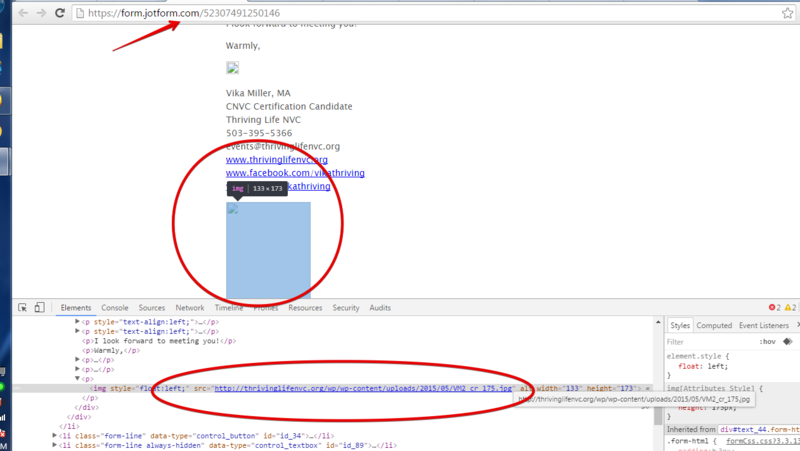 Once this is corrected, it should show in the Text (HTML) field as well on the form. Hope this help. Let us know if you require further assistance.